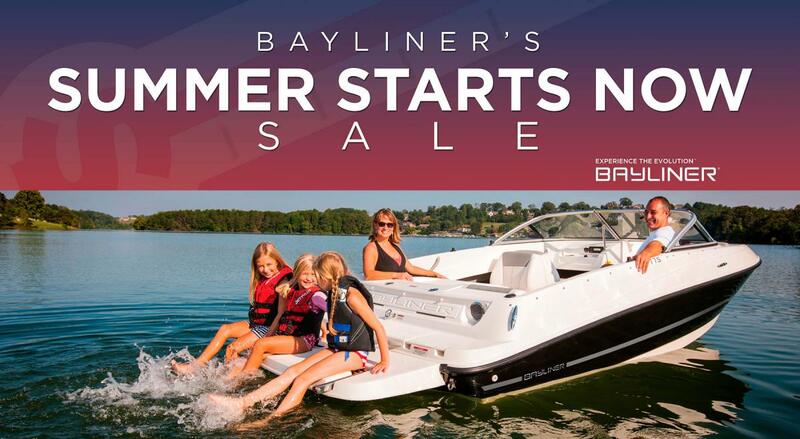 Bayliner knows how to get more families on the water, and they are helping customers get a head start on the summer boating season with their Summer Starts Now sale. Now through May 29, 2016, people looking to get the best deal on a new Bayliner boat can save up to $2,500* on select Bayliner models. Come to any InterMarine boat store in Florida and get on the water! Come in today to get the best selection of Bayliners eligible for this Summer Sale.